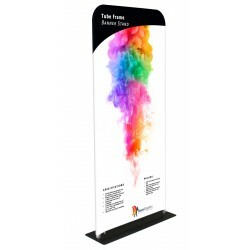 Since banner stands are our specialty, this category is the most important as it contains all the different types and models of banner stands we offer. 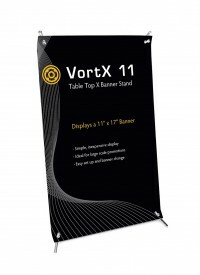 Other categories offer accessories, parts and replacement banners, but the Banner Stands category contains all our main products. 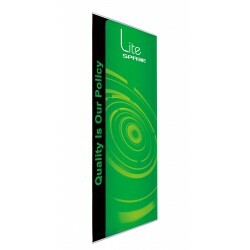 In most cases, it's best to choose one of the subcategories of banner stands to narrow the selection to just one style or type of display. 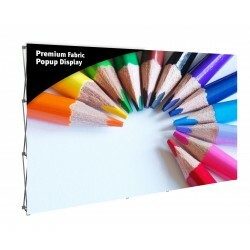 When shopping for trade show banner stands, the Retractable Banner Stands category is the most popular, but Banner Walls, Portable Banner Stands and Table Top Banner Stands are also very popular banner stands for trade shows. 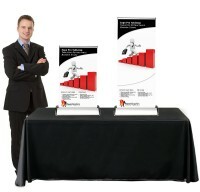 Retractable banner stands are also called pull up banner stands or roll up banner stands, and they are the models that retract down into the base when they are not in use. 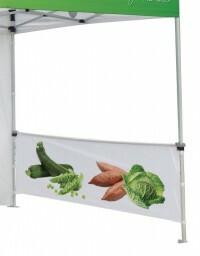 Their popularity is a result of them being extremely easy to set up and take down, and with just a little bit of care, the banner is protected from damage between uses. 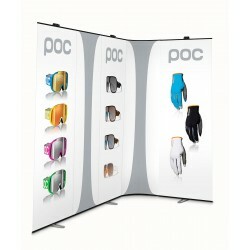 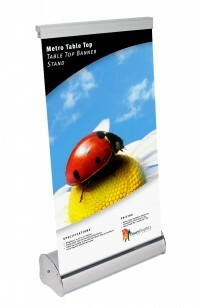 Because they are so popular, we have more brands, models and sizes of retractable banner stands than any other style. 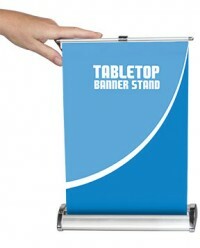 Portable banner stands are the models that aren't retractable. 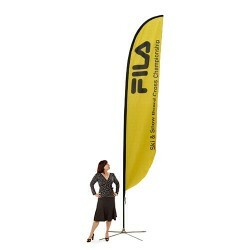 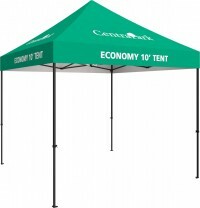 With these models, the banner is manually attached to the stand during setup, and removed and rolled for storage between uses. This takes a little more time, and makes it easier for the banner to get damaged, but these stands tend to be less expensive with fewer moving parts. 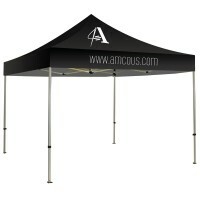 Because if this, they are very reliable and lightweight which adds to their popularity. 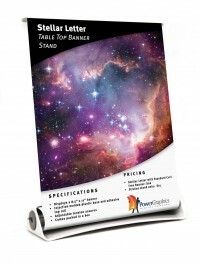 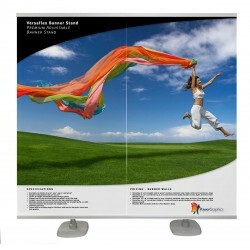 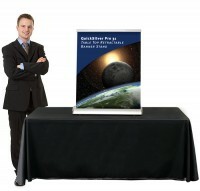 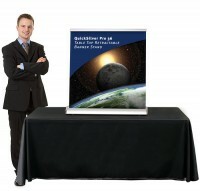 The tabletop banner stands category has all the models designed to sit on a table. There are models that are designed specifically for table top use, and other are full size banner stand models that can be used on a table because their height can be adjusted down to an appropriate size. 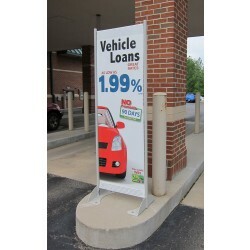 Virtually any banner stand can be used in stores, shops and malls, but the Retail Banner Stands category contains models that are specifically designed with that use in mind. 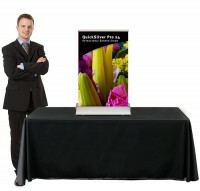 They tend to be less portable but more stable to hold up to customer traffic. 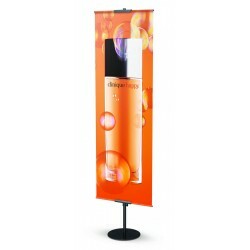 Tension Fabric Banner Stands are popular at trade shows and for store displays, and they are different enough to have their own category. 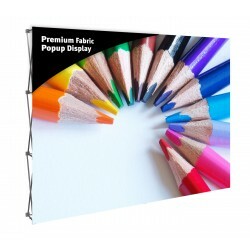 They consist of a frame that holds a stretch fabric graphic which gives them the ability to take on interesting shapes that can't be created with any other type of display. 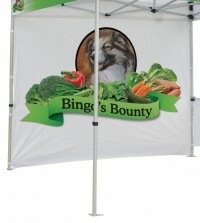 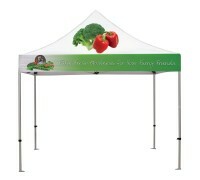 The Outdoor Banner Stands category is where you will find all the models designed to be used outdoors. 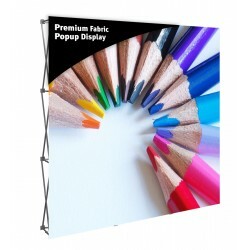 This includes outdoor retractable banner stands, feather banners, teardrop banners, flag stands, and banner stands with weighted bases for stability. 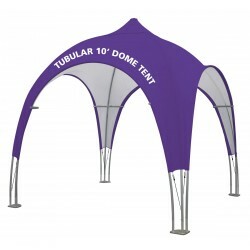 Some of these models are also popular for indoor use, but we keep them in this category to make them easier to identify for those who need a display for an outdoor event, promotion or trade show. 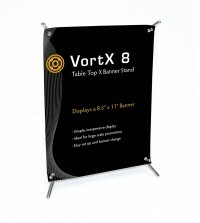 X banner stands are very simple banner stands that hold banners with grommets in the corners, so when customers already have a banner like that, an X banner stand is the only option to hold it. 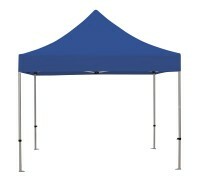 They are also generally the least expensive of all the styles, which makes them great for short term events. 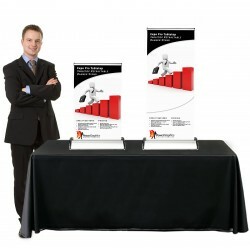 Another advantage they have is that there are several X banner stands that have adjustable width and height, making them a great for odd sized banners, or once again for fitting a stand to an existing banner. 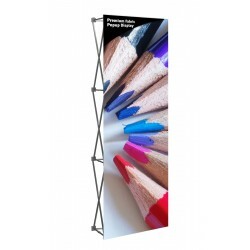 If you prefer to see every banner stand we offer, you can scroll through the products below, which includes all the banner stands on one page. 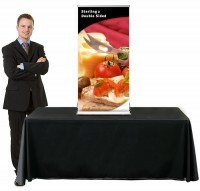 You can filter the products by style, size, price range, and other factors in the menu on the left. 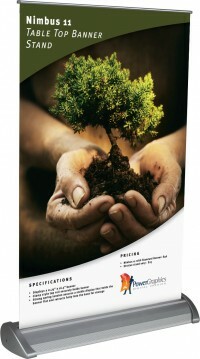 As always, if you need helping selecting a product to fit your needs, we encourage you to contact us by phone, e-mail, or via our live chat function during business hours.